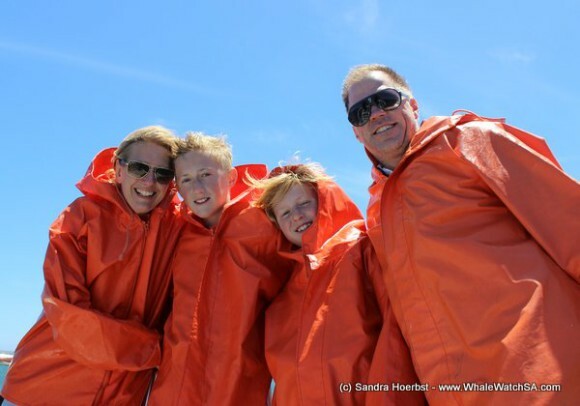 Today the sun was shining throughout all the trips, but the wind speed picked up in the afternoon. 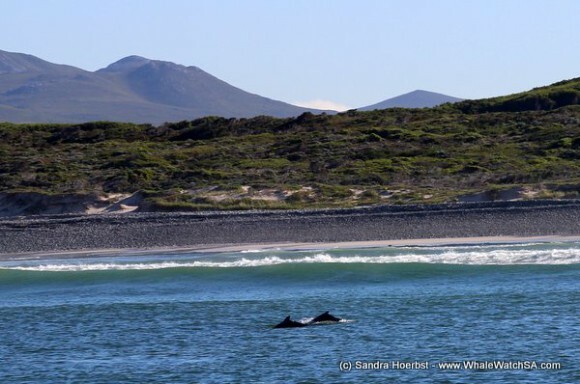 After launching the harbour in the morning we spotted three Humpback dolphins close to the shore. 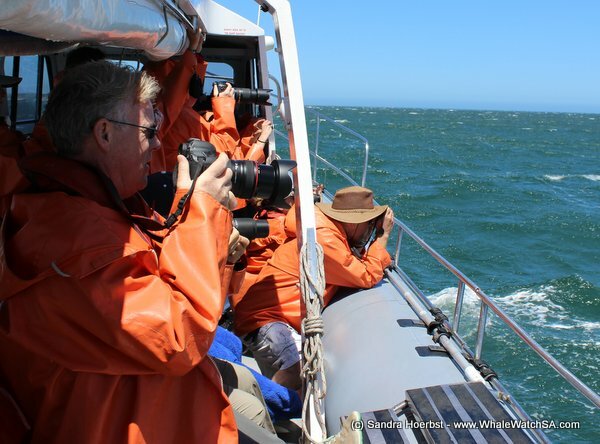 While we were busy watching the dolphins a Great White shark passed our vessel really close. On our way again towards Pearly Beach we spotted some more dolphins, this time we had a small school of Bottlenose dolphins around the Whale Whisperer. 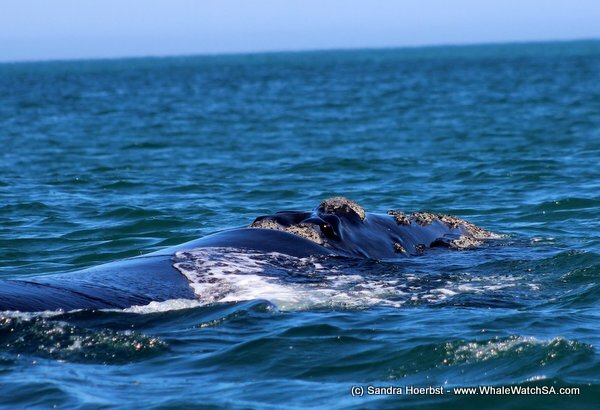 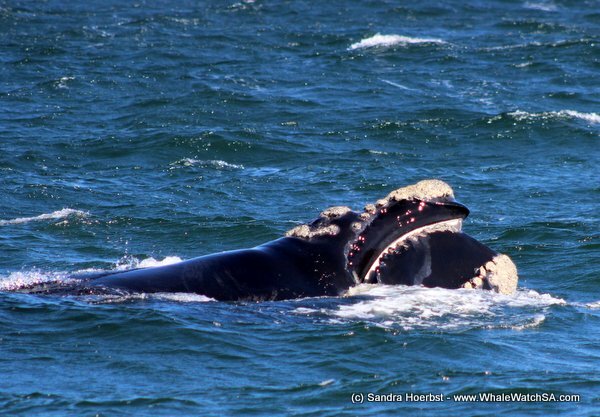 In the Pearly Beach area we found some relaxed Southern Right whales. 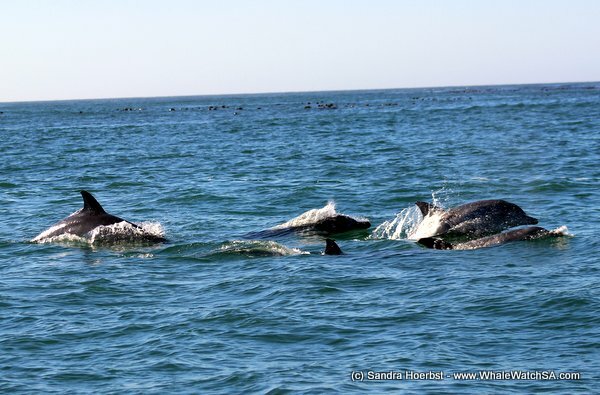 In the afternoon after the wind speed picked up the activity of the calves also picked up. 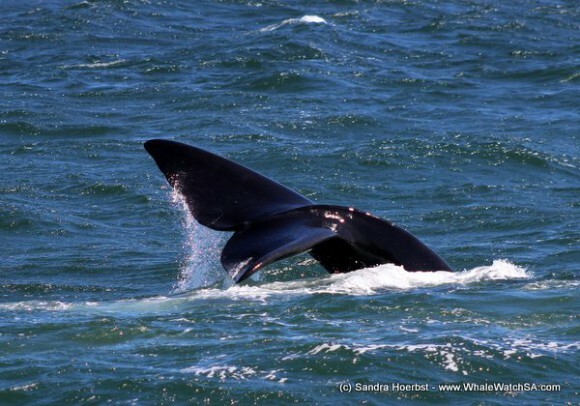 We had a playful calf breaching several times and was showing his fluke. 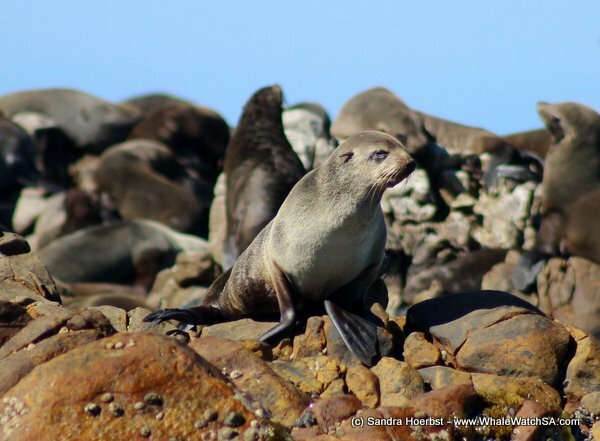 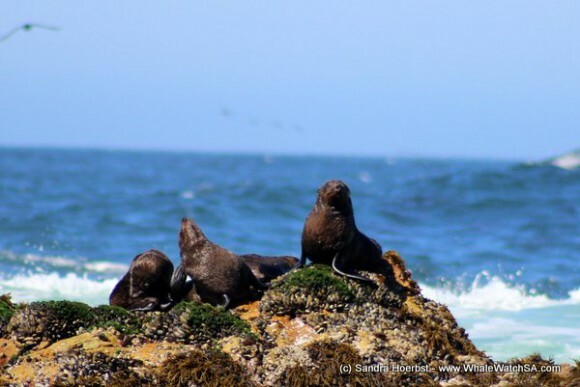 Around Dyer Island we stopped to see the African penguins and headed towards Geyser Rock to see the seals. 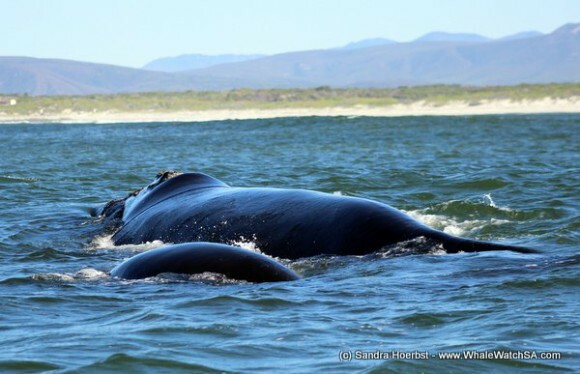 What a fantastic day with all Marine Big 5!